These days, staying in touch with friends and family stuck on land -- and even fellow passengers at sea -- is easier than ever. Ships now have branded apps that allow cruisers to chat with each other onboard, super-fast high-bandwidth Wi-Fi and even tablets for use at sea. Whether you want to post selfies to Facebook or check out your ship's dinner menus on your iPhone, you'll likely be covered. Internet speeds can vary significantly from line to line and ship to ship, depending on factors like location and available bandwidth. Most cruise lines don't offer speeds that can support streaming services like Netflix or Spotify. Royal Caribbean, however, is changing the at-sea connectivity game with a relatively affordable high-speed service that can support video and music streaming. The line rolled out Voom -- the fastest Wi-Fi at sea -- fleetwide in 2016. Just like connection speeds at sea, internet charges vary by cruise line. Some lines charge by the minute, and others offer daily or voyage-long packages. A few lines charge by bandwidth. Plus, a lot of major cruise lines are beginning to offer tiered usage packages that are priced based on the types of sites and online services passengers use. For example, Royal Caribbean has one package for those who just want to browse the web or send emails and another more expensive package for passengers intending to stream shows and movies. Carnival Corp., too, is improving the internet on all 10 of its lines and will be introducing these kinds of tiered usage packages. River cruise lines typically offer flat rates or even free internet. Cellular rates at sea vary by wireless company, but they will generally reflect international roaming rates, which can be breathtakingly pricey. When the ship reaches port, pricing will switch to the country-specific roaming rate -- also not cheap unless you've signed up for an international calling plan. Below is a rundown of what the major cruise lines offer for internet and cellular service. For some background and tips, here's everything you need to know about internet at sea. Internet and Wi-Fi: Both Azamara ships -- Journey and Quest -- have onboard computer centers, called eConnections, with 24-hour access, and passengers can get online via In Touch workstations. Wireless access on smartphones and laptops is available throughout the ship. Fees: Internet minutes can be purchased in increments at a rate of 65 cents a minute or as packages based on the minutes you plan to use: $9.95 (15 minutes); $18.95 (30 minutes); $26.95 (45 minutes); $47.95 (85 minutes); $79.95 (150 minutes) and $99.95 (235 minutes). Only one device can be used at a time. For users who need even more time online, Azamara also offers a $69 a day unlimited internet package and a full voyage package for $30 a day. The system does not support Skype or other high-bandwidth programs. Cell phones: Service is available via AT&T and Wireless Maritime for passengers with GPRS data service. Calling/texting packages are available, but roaming charges apply. Internet and Wi-Fi: Carnival offers shipwide Wi-Fi on all vessels, plus for-fee Wi-Fi access in HUB internet cafes. Additionally, the line offers an app -- Carnival HUB -- that is free to download and use onboard (even without a Wi-Fi package). The app offers easy access to data such as deck plans, ship schedules, dining info, and Sail & Sign shipboard account balances. For $5 per sailing, passengers ages 13 and older can access the app's chat feature. As part of a Carnival Corp. initiative, all Carnival ships will have Wifi@Sea enhanced internet by the end of 2016. Cell Phones: Carnival passengers can use their phones fleetwide to make calls, text and surf the web using data or Wi-Fi; roaming charges from cell phone carriers apply. Internet and Wi-Fi: Xcelerate, Celebrity's high-speed internet, allows for faster web browsing, less time spent waiting for pages to load and video-streaming capabilities with easier access to Netflix, YouTube, FaceTime and Skype. The internet service is available fleetwide with the exception of Galapagos-based expedition ships. Fees:Several packages are available: One hour of continuous browsing costs $19.99; 24 hours costs $49; two to three days costs $69 when pre-purchased or $79 when purchased onboard; four to six days costs $145 pre-purchased or $159 onboard; seven to nine days costs $224 pre-purchased or $249 onboard; 10 to 13 days costs $269 pre-purchased or $299 onboard; and 14+ days costs $285 pre-purchased or $319 onboard. Additionally, unlimited internet is available through Celebrity's "Go Big, Better, Best" (GBBB) fare bundles. When booking GBBB-eligible sailings, passengers get to choose one of four perks, including unlimited internet at no cost. (Additional perks can be added at extra cost.) This pricing is not offered for inside cabins, nor is it available for transatlantic, transpacific and Celebrity's Galapagos sailings. Cell Phones: Passengers on all Celebrity ships can use their GSM or CDMA phones onboard. Roaming charges will apply. Internet and Wi-Fi: All ships have internet cafes. Wi-Fi onboard works on all devices and is available throughout the ship. Download the free MyCosta app to call or chat with fellow passengers via the ship's Wi-Fi. Fees: Costa offers a "social" package for cruisers who want to use sites like Facebook, Instagram and Snapchat, plus a usage package that is priced by volume. A pay-as-you-go rate of €0.19 a minute is available, too. All plans require a €3 connection fee, and the packages can only be booked on the ships. As part of a Carnival Corp. initiative, all Costa ships will have Wifi@Sea enhanced internet by the end of 2016. Cell Phones: Cell phone calls are only possible when the ship is in dock, but passengers with GSM phones can send text messages at sea (international roaming charges apply). 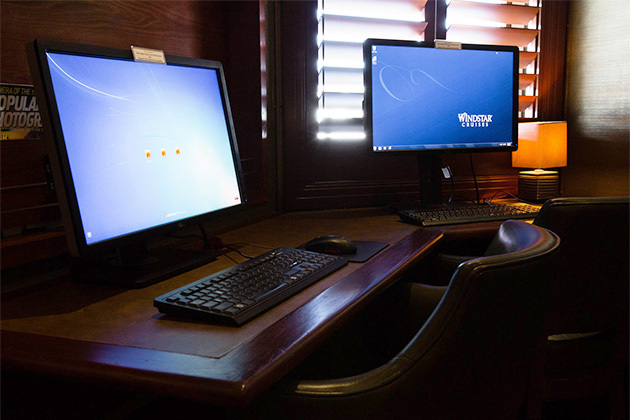 Internet and Wi-Fi: Passengers can surf the internet at Crystal's Computer University@Sea; each ship is equipped with at least 25 computer workstations, and fees apply. Wireless access is available throughout the ship. Laptops can be rented onboard, and Technology Concierges are on hand to help answer questions about devices and connectivity. High-bandwidth applications like Skype, iChat, FaceTime and other similar services are not supported on Crystal ships. Fees: All passengers receive free unlimited Wi-Fi. Cell Phones: Access is available for phones and other mobile devices (provided by Wireless Maritime Services). Devices must be activated for international calling. Roaming fees apply and are set by your phone service provider. Internet and Wi-Fi: All ships offer computer stations in libraries or ConneXions internet cafes, and all internet stations are open 24 hours a day. Satellite Wi-Fi onboard works on all devices and is available throughout the ship, but can be patchy and very slow. As part of a Carnival Corp. initiative, all Cunard ships will have Wifi@Sea enhanced internet by the end of 2016. Cell Phones: GSM roaming service is available across the fleet. Internet and Wi-Fi: Satellite internet connectivity is available throughout all Disney ships. Wireless high-speed internet is available for purchase for passengers bringing their own laptops or other electronic devices. Disney also has laptops available for passengers who don't have personal devices, though they'd still need to purchase an internet package. Fees: Internet packages are based on the amount of megabytes used. Passengers can choose to pay as they go ($0.25 per MB) or choose from one of following three packages: The small package includes 100 MB for $19 ($0.19 per MB) and is ideal for occasional use, like checking email; the medium package offers 300 MB for $39 ($0.13 per MB) and is geared toward moderate users, like those who wish to upload images to social media; the large package covers most internet needs, providing 1,000 MB for $89 ($0.09 per MB). Cell Phones: Cell phone usage is available on all ships. If your carrier supports GPRS data service, you may use compatible Cellular@Sea to check email and surf the web on your phone, for a fee. When the ship is in port, the service is off, and passengers can connect to local roaming networks. Passengers also can use the Disney Cruise Line Naviator app on their smartphones, which will allow them access to daily itineraries, activities, dining menus and the ability to chat with other passengers through the Guest Wi-Fi network while onboard. There is no charge to use the app. Internet and Wi-Fi: Passengers can keep in touch via the Internet Room onboard. 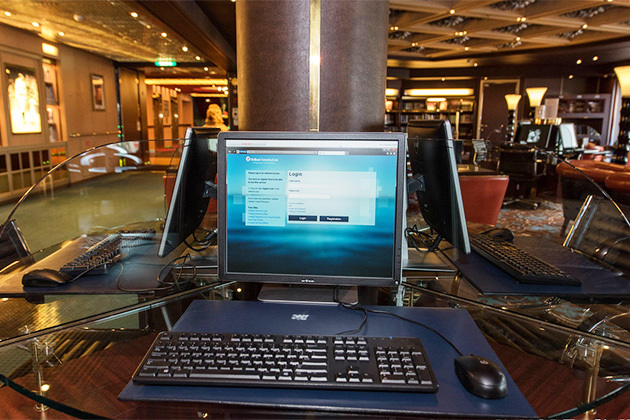 Wi-Fi service is available in hotspots, such as in the reception area and the library, on all four ships in the fleet. Internet access is also available at computer centers on all four ships, but the line is phasing out the centers in place of tablets, which will be available for passengers to use wherever they want onboard. Fees: Internet access is £13 for 30 minutes; £34 for 90 minutes; and £41 for 120 minutes. Unlimited use for five days costs £50, and unlimited use for seven days costs £63. Charges are billed to your onboard cruise ship account. Cell Phones: All ships in the Fred. Olsen fleet are cell-phone friendly (service provided by Wireless Maritime Service). Phones must be activated for international calling with the passenger's home provider, but otherwise no special codes or software are needed. Roaming fees apply. Internet and Wi-Fi: Passengers onboard all ships -- except for MS Lofoten -- can get online in the onboard internet cafe. All ships have Wi-Fi, but internet service on Hurtigruten ships can be painfully slow, especially as the ships sail toward more remote areas. Fees: There is no charge for Wi-Fi on the ships that do Norwegian coastal voyages. Internet service is not guaranteed on expedition ships. Cell Phones: Passengers can use their cell phones, though roaming charges from their phone service providers will be charged. Cell phone service is spotty, especially the farther north the ship sails. 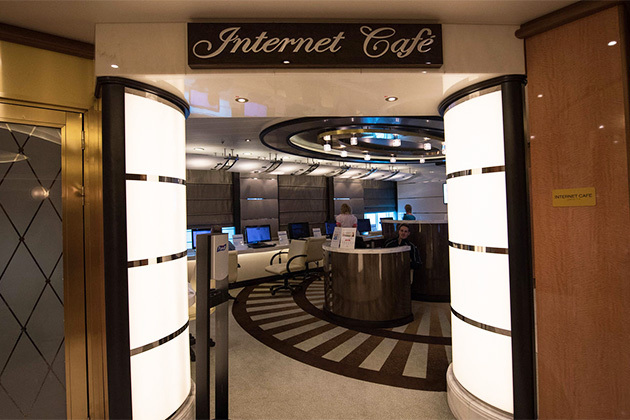 Internet and Wi-Fi: All Holland America ships have internet cafes. The line's Explorations Cafe, powered by the New York Times, is a cozy, coffee house-style area where passengers can either use the computers provided or a wireless internet device. High-speed terminals are scattered around the library and handily adjacent to a coffee bar. Satellite-powered wireless access is available fleetwide in most public areas and all cabins. As part of a Carnival Corp. initiative, all Holland America ships will have Wifi@Sea enhanced internet by the end of 2016. Fees: As it gears up for faster Wi-fi, the line is testing three new plans -- including one geared toward social media -- across its fleet for an indefinite time. The "Standard" plan offers 1,000 minutes for $250 (25 cents per minute); 500 minutes for $175 (35 cents per minute); 250 minutes for $100 (40 cents per minute); 100 minutes for $55 (55 cents per minute); and a "pay as you go" option for 75 cents per minute. The plan is available on select cruise ships: Prinsendam, Volendam, Zaandam, Maasdam, Veendam, Noordam, Oosterdam, Eurodam, Amsterdam and Rotterdam. On Nieuw Amsterdam and Zuiderdam, the "Hybrid" plan allows passengers to purchase either minutes or unlimited internet for the entire cruise. The plan offers 600 minutes for $199 (33 cents per minute); 400 minutes for $159 (40 cents per minute); 200 minutes for $99 (50 cents per minute); or 30 minutes for $19. Unlimited access for the length of the voyage is $249. 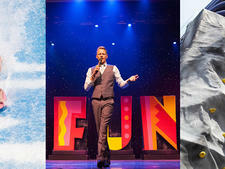 Westerdam is the only ship to test the line's new social media package. Here's how those packages break down, priced for seven-day cruises: "Social" costs $5 for 24 hours or $25 for the week; it limits access to only eight social media sites, including Facebook and LinkedIn. "Enhanced" costs $16 for 24 hours or $60 for the week; it excludes videoconferencing and music streaming. "Premiere" costs $25 for 24 hours or $99 for the week, and allows everything except video streaming. Cell Phones: All ships in the Holland America fleet are cell phone friendly, and thanks to an agreement with Wireless Maritime Service, passengers can make and receive calls, send and receive text messages, and access emails and surf the web with their phones. Phones must be activated for international calling with the passenger's home provider, but no special codes or software are needed. Roaming fees apply. Internet and Wi-Fi: Internet service is available at computers in internet cafes on all MSC ships. Wi-Fi is available in all cabins and common areas. Fees: MSC offers three tiers of connectivity on either a per-day or per-cruise basis: Streamer, Surfer and Social. "Streamer" is the biggest package; at $22 per day or $66 per cruise, it gives you enough bandwidth to stream video and audio, as well as usage on up to four devices. "Surfer" costs $11 per day or $33 per cruise and offers bandwidth suitable for browsing, email and social networks on up to two devices. For $4.50 per day or $16.50 per cruise, "Social" includes access to social networks and chat apps via a single device. The line offers some discounts for passengers who book "Streamer" and "Surfer" usage packages in advance. A pay-as-you-go usage plan is available in the internet cafe. Cell Phones: GSM roaming service is available on all ships. Charges apply. 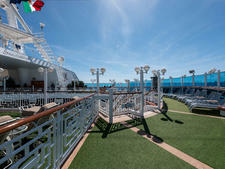 Internet and Wi-Fi: Norwegian offers 24-hour internet cafes, and shipwide wireless internet access on all of its ships. The free Norwegian iConcierge app allows users to tap into onboard passenger information, communicate with other passengers onboard and make their own dining and excursion reservations. The app is currently available on Norwegian Escape, Norwegian Epic, Norwegian Breakaway, Norwegian Getaway, Norwegian Pearl, Norwegian Jewel, Norwegian Gem, Norwegian Jade, Norwegian Pride of America, Norwegian Star and Norwegian Sun. Fees: There is a per-day unlimited usage rate of $29.99 for sailings up to 12 days long and $24.99 for sailings 13 days or longer. All ships except for Sky and Breakaway offer 100- and 250-minute blocks of usage time for $75 and $125, respectively. (Sky and Breakaway have slightly different pricing options.) 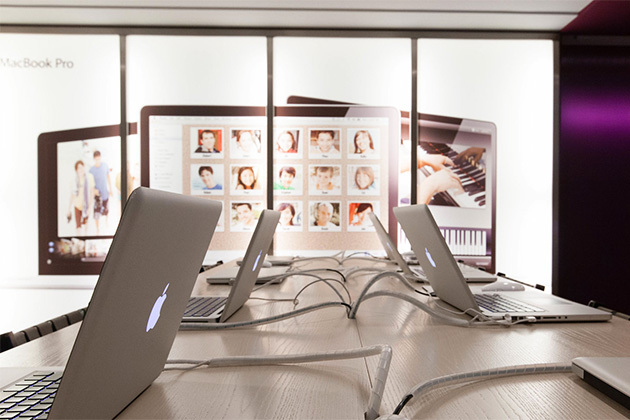 Laptop rental is complimentary with any time-plan purchase, but it's subject to availability. The iConcierge app is free to download, but there is a fee to make and send unlimited calls and messages to other passengers while onboard. 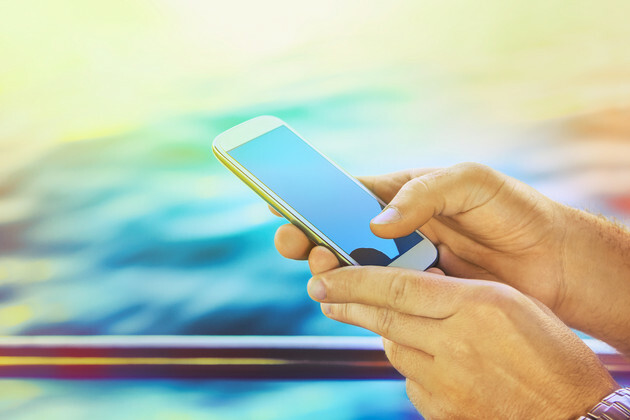 Cell Phones: Passengers can make and receive calls and use data on mobile devices while the ship is at sea via a satellite connection. Roaming charges apply. The iConcierge phone app allows ship-to-shore and shore-to-ship calling capabilities using VoIP (Voice over IP technology). A per-minute fee applies for this service. Internet and Wi-Fi: All Oceania vessels have shipwide Wi-Fi. Passengers can sign up to gain access in the internet center, Oceania@Sea, or by connecting to the network directly from their personal devices. Passengers staying in Concierge-level rooms (and higher tiers) are provided with laptops -- and the Owner's, Vista and Oceania suites each come with the added bonus of an iPad. Fees: Oceania is rolling out free Wi-Fi fleetwide by the end of April 2018. At that time, all passengers will have access to unlimited, high-speed internet called Wavenet, which will allow them to do low band-width activities such as checking email and surfing the Web. Passengers can choose to upgrade to Wavenet Prime, at a cost of $9.99 per person, per day, for the duration of the cruise, in order to stream movies or music or video chat. Prior to the Wavenet rollout, internet minutes are available at the rate of 99 cents per minute or at a reduced rate when a package is purchased; a $3.95 activation fee is charged. An unlimited package is available for $27.99 per passenger, per day. A 200-minute package is available for $160. On select cruises, Oceania might offer free unlimited internet as a perk as part of its OLife promotion; passengers in upper-tier cabins also receive free Wi-Fi. Cell Phones: For passengers traveling with their smartphones, Oceania Cruises offers a Wi-Fi enabled app called Connect@Sea that allows cruisers to send and receive calls and messages to other Connect@Sea app users on the ship, as well as make calls from the ship to people on land. It's recommended to download the free app before sailing. The app is then activated onboard with the purchase of a Connect@Sea plan. The plan cost (per person)varies by length of cruise and includes unlimited calls and messages to onboard users. Calls made to friends and family on land incur per-minute charges. Internet and Wi-Fi: Internet access is available in the cyber cafes onboard all of P&O Cruises' ships, plus at Wi-Fi hotspots around the ship. On some ships, internet access is available in passenger cabins, but this depends on the strength of the signal while at sea. As part of the line's Stay Connected internet programme, P&O Cruises offers three 24-hour internet packages. Fees: The Connect package, £7.75, is the base package offering internet access to passengers looking to stay connected through social media channels, such as Facebook and Instagram, and internet messaging services, such as Messenger and WhatsApp. The Browse package, £12.50, offers passengers internet browsing (with the exception of video streaming), internet messaging, email and social network access. The Works package, £24.95, is the top-level package allowing passengers to browse the web, stream YouTube, Spotify and Apple Music, make video calls, email and share via social networks. Cell Phones: Mobile phone reception via Maritime Communications Partners is available on all ships if your phone is capable of roaming internationally. Fees: Princess Cruises' pay-as-you-go rate is 79 cents per minute. There are four time plans: 100 minutes for $69 (pre-purchase for $72.95 with 20 bonus minutes); 200 minutes for $99 (pre-purchase for $102.95 with 40 bonus minutes); 400 minutes for $159 (pre-purchase for $162.95 with 60 bonus minutes) and 600 minutes for $199 (pre-purchase for $202.95 with 80 bonus minutes). World cruisers also can buy 1,000 minutes for $249 or pre-purchase for $252.95 with 100 bonus minutes included. 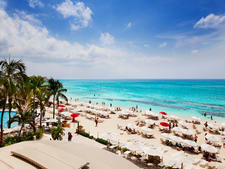 Passengers in the top tier of the line's frequent cruise program gain credit toward internet package use. As part of a Carnival Corp. initiative, all Princess ships will have Wifi@Sea enhanced internet by the end of 2016. Cell Phones: All Princess ships are cell phone operational. On Royal and Regal Princess, passengers' phone providers must have an agreement with Maritime Communications Partner in order to get service. On all other ships, passengers' providers must have an agreement with Wireless Maritime Services (WMS). Phones must be activated for international calling with the passenger's home provider before sailing. Roaming fees apply and are set by your phone service provider. Internet and Wi-Fi: Computer centers with internet access are available on all Regent ships. Wireless access is available throughout the ships, including most cabins, but bandwidth-heavy applications such as Skype and FaceTime are blocked onboard. Cell Phones: GSM and CDMA roaming access are available on all ships. Charges apply. 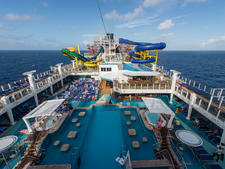 Internet and Wi-Fi: Royal Caribbean offers Voom high-speed internet fleetwide. The service is very speedy (the line calls it the "fastest at sea") and can be used for streaming movies and music via services like Netflix, Hulu and Spotify. Ships also have computers available for passenger use. Fees: Two levels of Voom are available via tiered packages. There is "Voom Surf," which starts at $12.99 per device, per day, and includes high-speed Wi-Fi that can be used to browse the web, check email or post on social sites. "Voom Surf and Stream" is the more expensive tier. It starts at $17.99 per device, per day, and is fast enough for streaming movies, shows and music. Family packages that include discounted rates for multiple devices are available. Cell Phones: Mobile phone service is provided by AT&T/Cellular at Sea. Check with your home provider before sailing about compatibility and international roaming charges. Internet and Wi-Fi: All Seabourn ships are wired for satellite Wi-Fi access in all suites and most public areas, as well as via terminals located in Seabourn Square. As part of a Carnival Corp. initiative, all Seabourn ships will have Wifi@Sea enhanced internet by the end of 2016. Fees: Seabourn charges 40 cents per minute for internet usage. Additionally, the cruise line offers some unlimited usage packages, which can be purchased onboard or in advance. Packages cost $19.95 for two hours; $29.95 for three hours; $39.95 for four hours; $239.95 for seven days with unlimited use; and $399.95 for unlimited access during a longer cruise. Only one device at a time is supported. Cell Phones: Seabourn offers a mobile phone network that allows passengers to send and receive calls on their own compatible mobile phones while the ship is at sea. Your provider's roaming charges will apply. Internet and Wi-Fi: Onboard internet services are available with a range of pricing plans. Passengers can use their own laptops to access the internet and personal email in their cabins or at Wi-Fi locations throughout the ship. Computers, email and internet access are also available onboard via internet cafes on all ships. Fees: Silversea offers one hour per day of free Wi-Fi to all passengers in standard cabins (Vista, Terrace and Veranda Suites) on all of its ships. Passengers sailing in upper-level suites receive complimentary Wi-Fi for the duration of their voyage. Otherwise, on ocean and expedition sailings, internet access is offered for $30 per day; $50 for two days' usage; $60 for the duration of a three-night cruise; $140 for a weeklong cruise; and $16 per day for cruises of eight days or longer. Passengers can also purchase a block of online time at $250 for 1,000 minutes of connectivity. Cell Phones: When onboard, passengers can make and receive phone calls, text messages and other data services on their own mobile phone or digital device. Roaming charges apply. Internet and Wi-Fi: Wireless internet is available in most public areas and cabins on all Windstar ships, and passengers can access computers and rent laptops onboard. Fees: Windstar offers two packages: the Email Plan ($50) and the Surfing Plan ($120). The "Email Plan" provides passengers with 200 MB of data to use throughout the cruise; it's recommended for people who do very little browsing, only checking email periodically. Estimated minutes for the "Email Plan" range from 15 to 60. The" Surfing Plan" offers 500 MB of data, ideal for additional browsing and small file transfers (such as posting pictures to a social media site). Estimated minutes range from 90 to 360 (approximately five hours) for this plan. 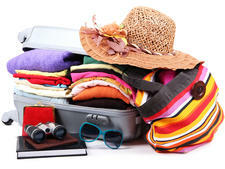 Passengers can purchase unlimited usage packages as well; these range from $250 for seven days to $490 for 14 days. Cell Phones: Mobile phone service is available fleetwide, both at sea and in port. At sea, the onboard international roaming network supports GSM and CDMA technology.